WordPress is used by millions of people right around the world to setup websites for a variety of applications. While it’s popular because it’s easy to get up and running and use, it still requires proper optimization in order to really improve your overall search engine rankings. This guide will give WordPress beginners a basic overview of WordPress SEO to help your website get found online. Title tags are used in the head section of a web page to communicate your page title better to both search engines and visitors. 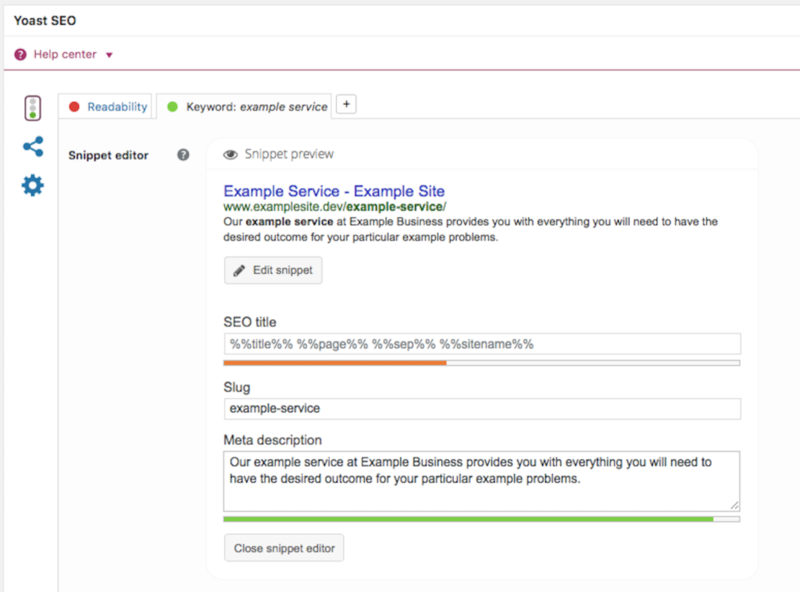 In WordPress, if you’ve installed the Yoast SEO plugin (which we’ll cover later), you’ll see an area for the meta description and keyword to be implemented. For optimal SEO, the meta description should include the relevant keyword that’s going to be used for the overall post. The title of your post should also feature the relevant keyword for optimal impact. It’s important to make your content clear for users, not just search engines. 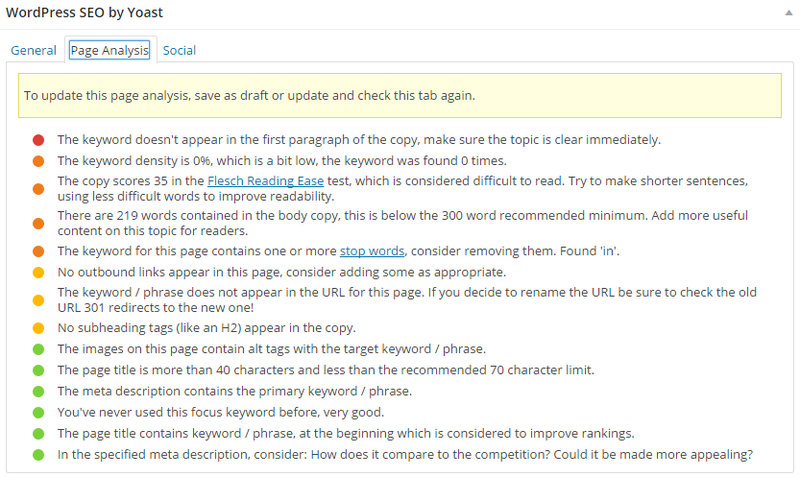 Note the area for implementing the meta description and the focus keyword, this helps Yoast provide you with SEO suggestions and advice for anything you may have missed. Including meta descriptions allows your WordPress post to be seen by search users. If you don’t specify a meta description, the search engines will typically take the first sentence, which might not be ideal and entice users to visit your site. Meta descriptions themselves don’t influence search rankings, however they’re important for providing a call to action in the search results pages. 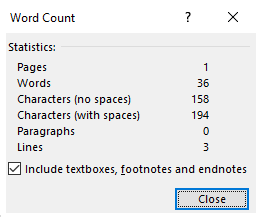 Generally, WordPress will count down the character limit for you when writing your meta description, however if you’re using a Word document you can find out the character limit of your meta description by highlighting them and clicking on the word count at the bottom left hand side of the screen. Permalinks are a great way to provide a clear, relevant structure of your content. Keyword phrases are specialized phrases which are used to optimize your pages to send more traffic to them. Key phrases are used as the core key phrase that your page will be searched for and ranked for. Think about what you want your site to be found for. Focusing on keywords and phrases in these areas and implementing it in the Yoast SEO Focus Keyword section can help to boost your WordPress website’s overall visibility to both users and search engines. Keyword research will be covered in more detail below. Select the image that you’re looking to use for your blog post in the add media section. You will need to upload an image to use. Make sure you’ve renamed your images on your local computer before you upload them. Click on the bar where it says Alt Text on the right hand side of the screen. Add the keyword you’re looking to use and click ‘Insert Into Post’. 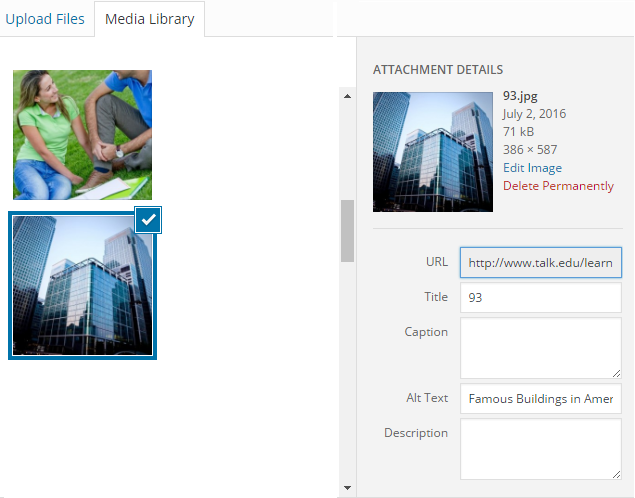 Your image will now be integrated into your content with the additional keyword information. 1. Go to the page you’re looking to link to and copy the URL of the blog post. 2. Highlight a word or piece of text that you want the page to link to. 3. Click the link button along the top bar of WordPress editor and paste the relevant link into the link field and click ‘Add Link’. It’s really is quite easy to interlink pages and posts in your WordPress content, and best of all it can help your users and benefit your SEO. There are many ways to achieve the same things in WordPress, explore the content editor and find what best works for you. Don’t just use Google Keyword Planner (which is one of the most popular tools for keyword research) for your keyword research. There are many other tools to help with this process, check out some alternatives here. Don’t just choose the best keywords or keyword phrases based on popularity, the more popular the keyword is, the more competition you’ll have to compete against. Instead, try using words which have low to medium competition. Although they may not be as popular, you have a higher chance of being seen than against those in the high competition range. Don’t just settle for generic keywords. Broad match and long tail keywords are also great options to use because they give you more direct search results for visitors to find your website. Long Tail Keywords: NX5 Series Canon Camera, HTC Desire 5 mobile phone, size 2 red baby onesie clothing. Use keywords that best match what your page is about. There’s no point trying to use the words ‘men’s clothing’ if you’re selling young boy’s clothing. Always use appropriate keywords for the appropriate pages. 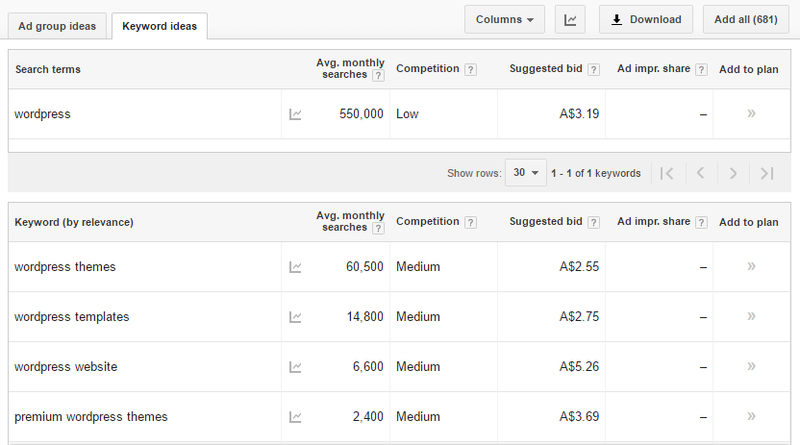 Besides Google Keyword Planner, you can also use the Search Analytics report in Google Search Console to better gauge the keywords people have used to either find your website in the search results or click through to your site. Search Analytics gives you a wealth of keyword data that can be utilized to further enhance your page. Improving the overall image quality of your blog posts and including Alt Text as suggested above can improve the SEO of your website. When uploading images, they need to be free to use. Sites where you can obtain quality images include Pixabay, ShutterStock, Fotolia, and Stock Photo Secrets to name a few. Some are free to use, while others you may have to pay a price for the images. Here’s a great article on finding copyright free images on Flickr that is worth bookmarking. Changing the titles of your older pages and posts to incorporate keywords can help to improve your overall SEO. Titles should also be changed to become more intriguing and relevant to readers. The more intriguing a title is the more visitors will come to your website. Titles are also important when content is shared on social media, since it’s often the only thing people see. Take extra time learning what works for your site. WordPress is a great option to use when setting up a website. By understanding the basics of WordPress you have a higher chance of creating a website that is optimized for users that can also rank well in search engines. If you want to share your WordPress SEO tips, we’d love to hear from you below. The SitePoint Entrepreneur channel also has a wealth of information on SEO and other marketing strategies. You can check it out here.